Manchester United marked the returns of Paul Pogba, Zlatan Ibrahimovic and Marcos Rojo by beating Newcastle United 4-1 at Old Trafford. 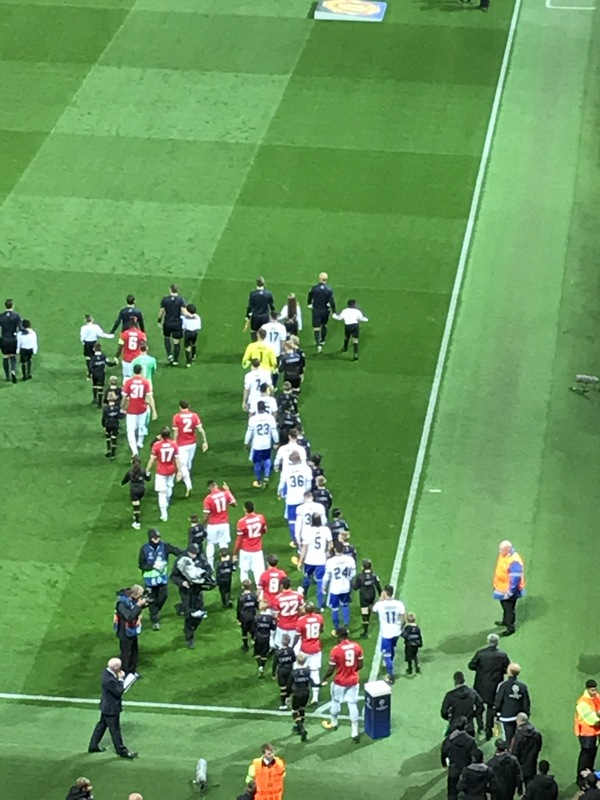 Pogba played 70 minutes and was named man of the match, while Ibrahimovic played the last fifteen minutes. 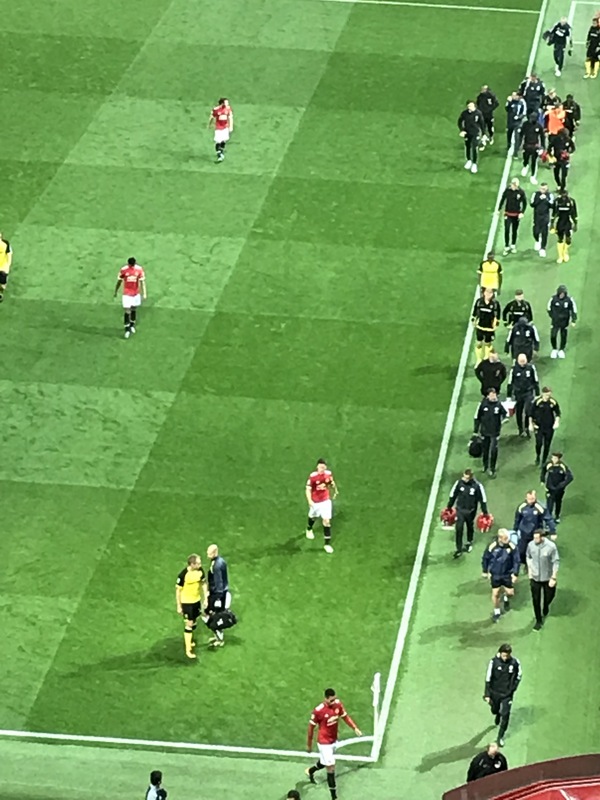 Rojo was an unused substitute but both he and Ibrahimovic returned ahead of schedule, after recovering from similar long-term injuries. Newcastle opened the scoring when DeAndre Yedlin’s cross was met by Dwight Gayle, who’s shot cannoned in off the post. Victor Lindelof slipped as the ball came across the box. Gayle’s goal was the first scored by an away team at Old Trafford in the Premier League this season. United equalised when Anthony Martial headed in Paul Pogba’s superb cross. Pogba took on a defender at the edge of the box and chipped the ball into Martial, who directed his header well into the bottom corner. The Reds then took the lead when Chris Smalling rose highest to meet Ashley Young’s cross at the back post. 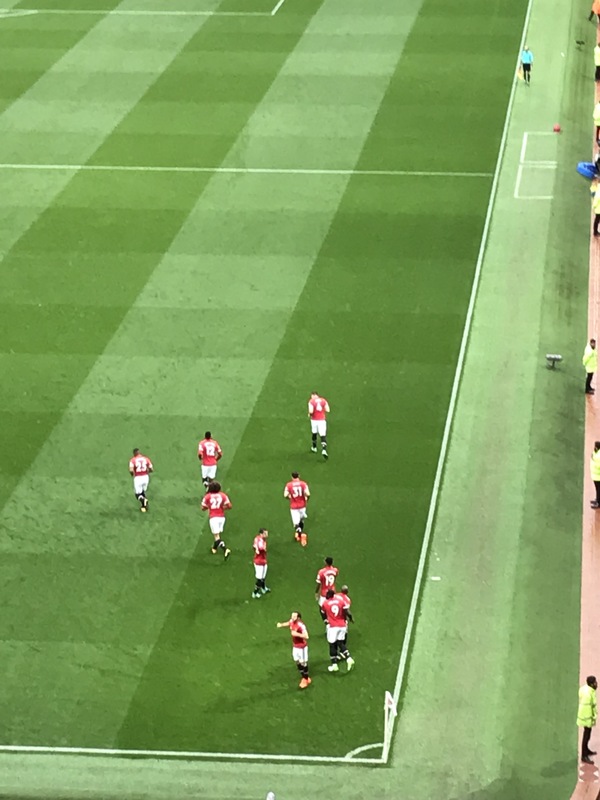 United went in front just before half time. Then, Paul Pogba got the goal his superb performance deserved early in the second half. Romelu Lukaku whipped a great ball across to Marcus Rashford who expertly nodded the ball to Pogba to tap in. 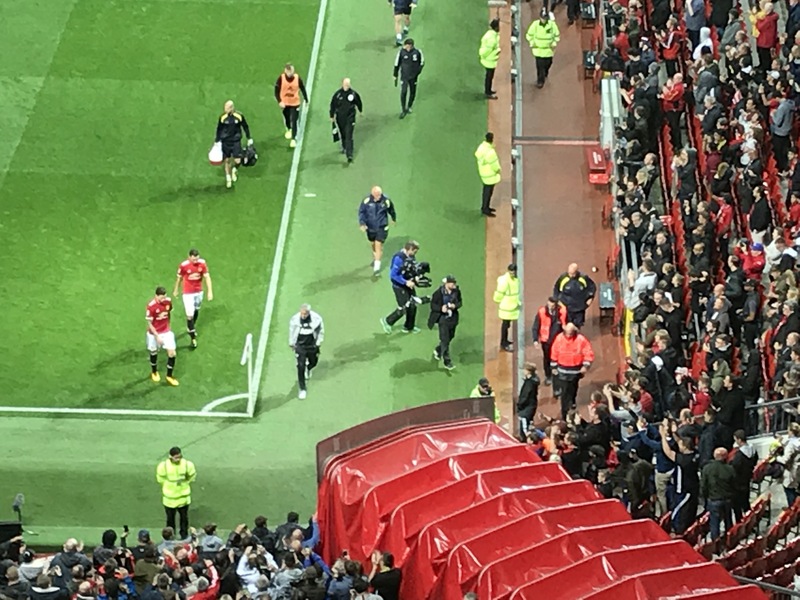 As Pogba left the pitch to a standing ovation after a great performance, Lukaku added a fourth. The Belgian striker got his goal from close range as Pogba was heading down the tunnel. 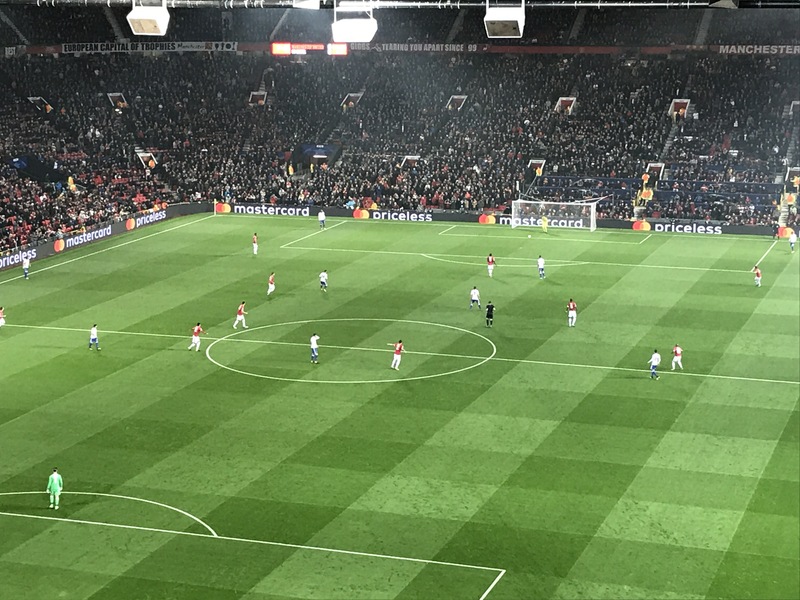 Manchester United now face a trip to Switzerland to take on F.C. Basel in the Champions League. Before returning to Premier League action next weekend at Old Trafford against Brighton. 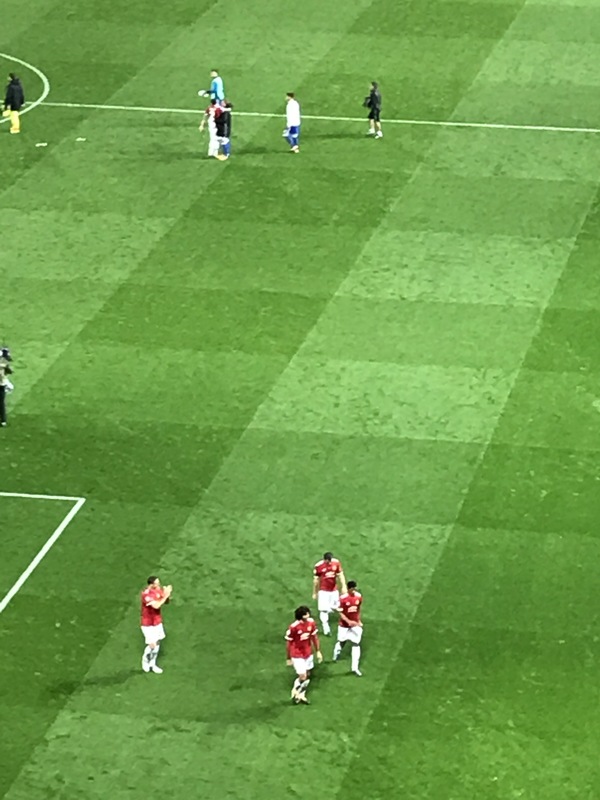 Manchester United virtually assured their passage into the last 16 of the Champions League as group winners. United beat Benfica 2-0 at Old Trafford to make it four wins out of four in the group stage. Anthony Martial’s superb run after 15 minutes earned the Reds an early penalty. But, Martial’s attempt from the spot was well saved by Benfica’s 18-year-old goalkeeper Mile Svilar. United took the lead on half time, when Svilar was very unlucky to concede an own goal. Nemanja Matic’s long range effort rebounded off the post onto Svilar and in. David de Gea did make some good saves at 1-0 to preserve another clean sheet. The ‘keeper has only conceded one goal across the four Champions League group games so far. Daley Blind added a second after another penalty was awarded to United in the second half. Blind hit the spot kick straight down the middle to ensure the victory. 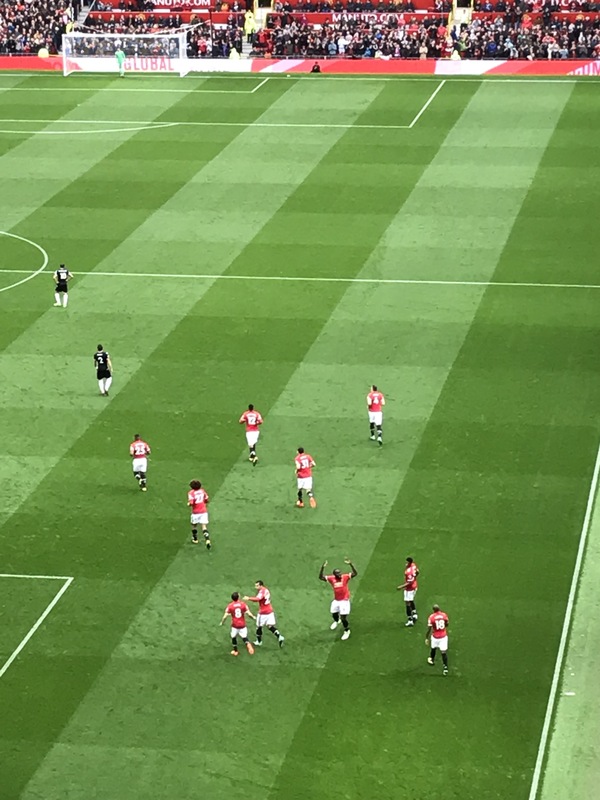 Marcus Rashford won the penalty this time after replacing Martial in the second half. Manchester United now travel to Stamford Bridge to face Chelsea in the Premier League on Sunday at 4.30pm. Manchester United beat Spurs 1-0 at Old Trafford thanks to Anthony Martial’s late winner. 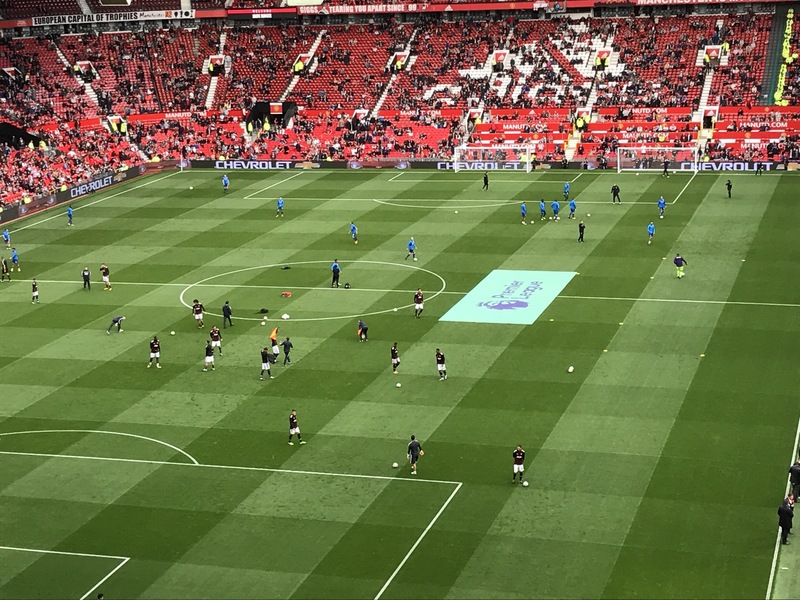 Manchester United matched Spurs’ setup defensively, going with a three man defence of Chris Smalling, Phil Jones and the returning Eric Bailly. While Ashley Young and Antonio Valencia played the wing back roles. Dele Alli had a good chance to open the scoring in the second half but put his effort past the post. David de Gea did enough to put off the England international midfielder. Hugo Lloris was also busier in the second 45, after a quiet first half. The ‘keeper made a good save from Romelu Lukaku’s shot across goal. The Belgian striker then hit the post with a great header from a Jesse Lingard cross. But then the breakthrough finally came, after 81 minutes. Martial, latched onto Lukaku’s headed flick on to score past fellow Frenchman Lloris. United saw out the victory to go three points clear of Spurs in the Premier League table. Manchester United now return to Champions League action against Benfica on Tuesday night. 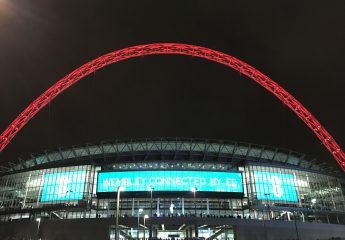 The Reds need a point to seal qualification to the knockout stages. Manchester United went top of the Premier League after beating rock bottom Crystal Palace at Old Trafford. Crystal Palace have now not scored in any of their seven Premier League games, losing them all. Juan Mata opened the scoring after just two minutes following good work from Marcus Rashford. Rashford went past two Palace defenders and pulled the ball back to Mata who placed his effort past Hennessey. Marouane Fellaini doubled United’s lead before half time. The Belgian tapped in at the back post after a great cross from Ashley Young. Playing as a left back today, United have still not conceded a goal with Young in the team this season. 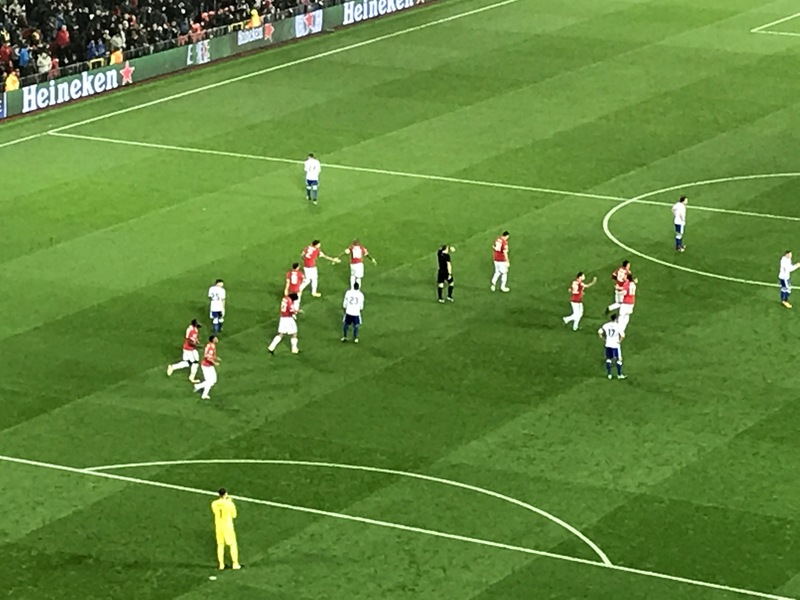 Fellaini scored again just after half time, as the midfielder headed in Rashford’s free kick from close range. Romelu Lukaku then continued his run of scoring in every Premier League game so far this season. 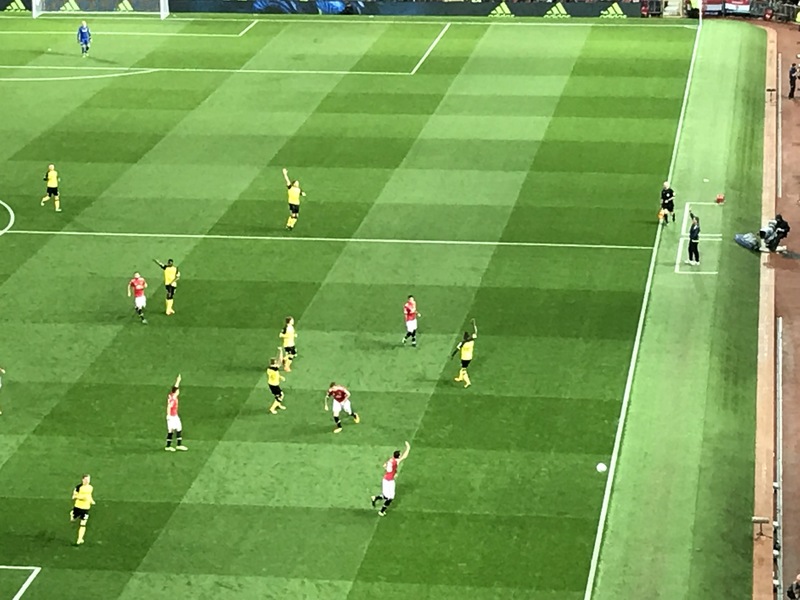 The Belgian striker converted Martial’s pullback after good work from Ander Herrera. After the international break, United travel to Anfield to face Liverpool in the Premier League. Manchester United began their bid to retain the League Cup on Wednesday night. 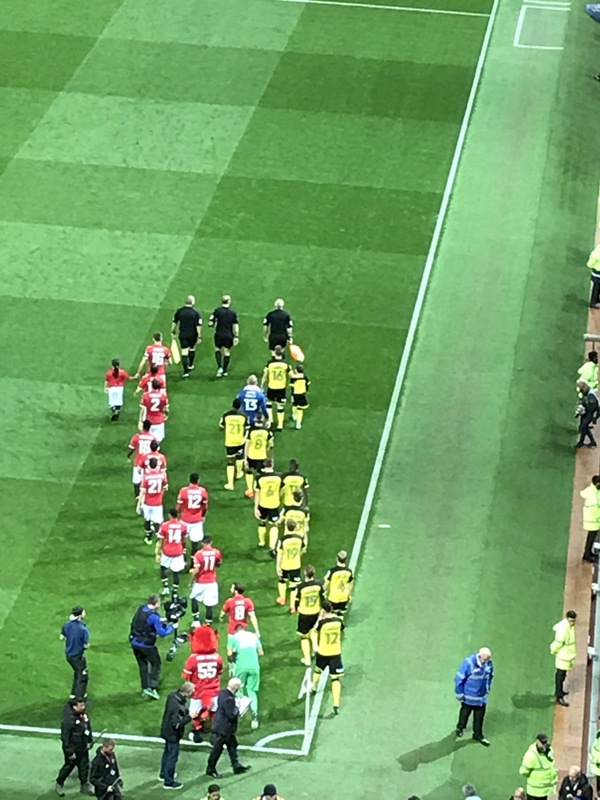 The Reds faced Burton Albion at Old Trafford in the Third Round of the Carabao Cup (EFL Cup). The Brewers have visited Old Trafford once before, back in 2006 when United won 5-0 in an FA Cup Third Round Replay. Famously Burton and United drew 0-0 in the original tie at the Pirelli Stadium. Despite Jose Mourinho making a raft of changes, Manchester United comfortably reached the Last 16, beating Burton 4-1. Ander Herrera and Michael Carrick both started in midfield for the first time at Old Trafford this season. 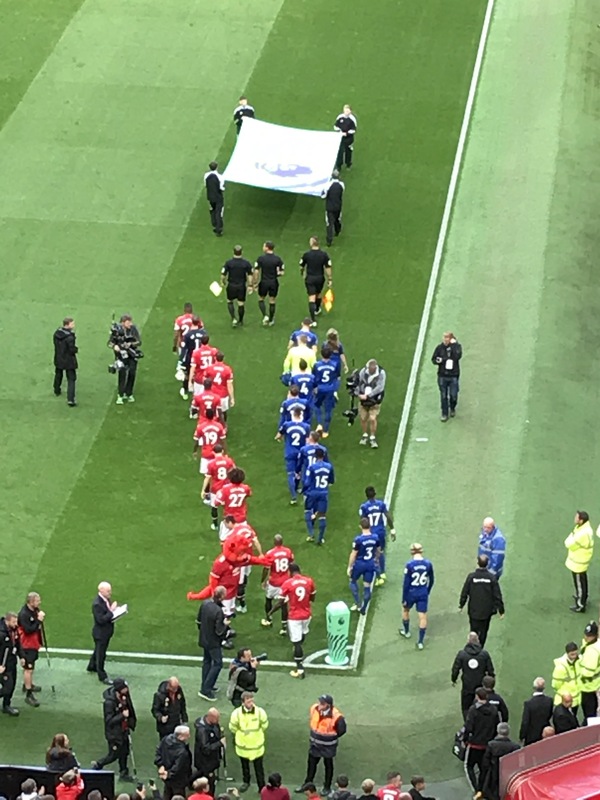 Matteo Darmian, Jesse Lingard and Sergio Romero also got rare starts. While Victor Lindelöf and Chris Smalling came back into the team like they did against Basel last week in the Champions League. Marcus Rashford opened the scoring as he chipped the ball over Connor Ripley in the Burton goal. Rashford was set up by fellow academy graduate Jesse Lingard. The England international striker then quickly added a second from long range. The 19-year-old’s effort went in off the post to give United a commanding lead. Sergio Romero did make a good save to prevent a Burton consolation soon after. Jesse Lingard then got United’s third, with the aid of a big deflection. The midfielder’s strike deflected and wrong footed Ripley. 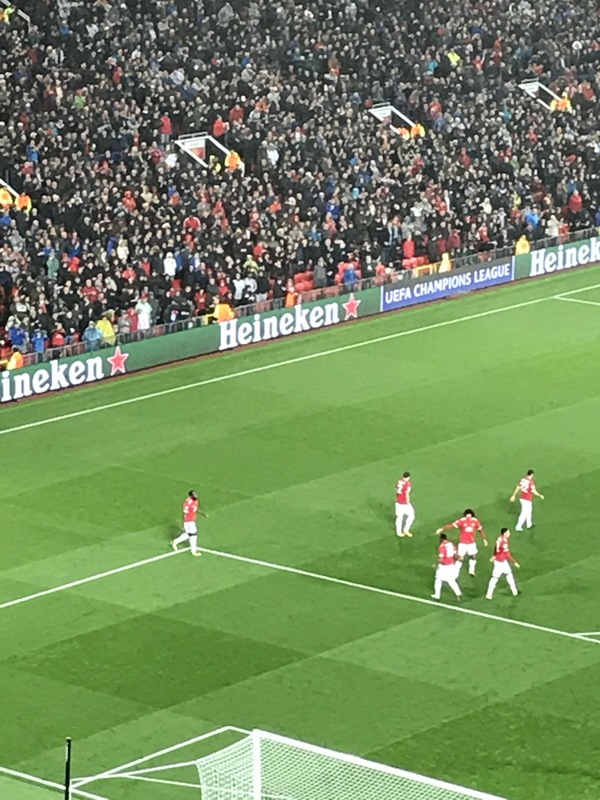 In the second half, the Reds added another when Anthony Martial finally got his goal. The Frenchman made it 4-0 as Luke Shaw, Scott McTominay and Joel Pereira came on for first team minutes. 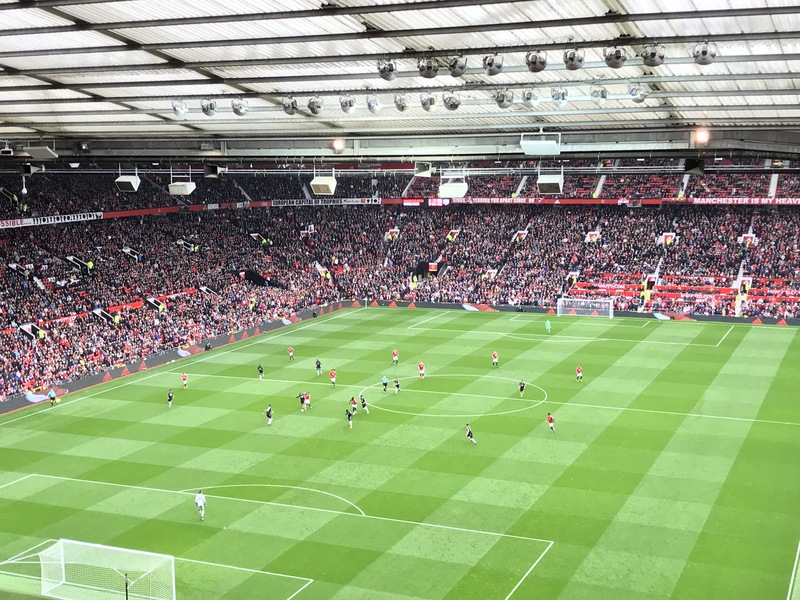 The Brewers finally had something to shout about in the last minute when Lloyd Dyer scored the first goal scored by an away team at Old Trafford this season. 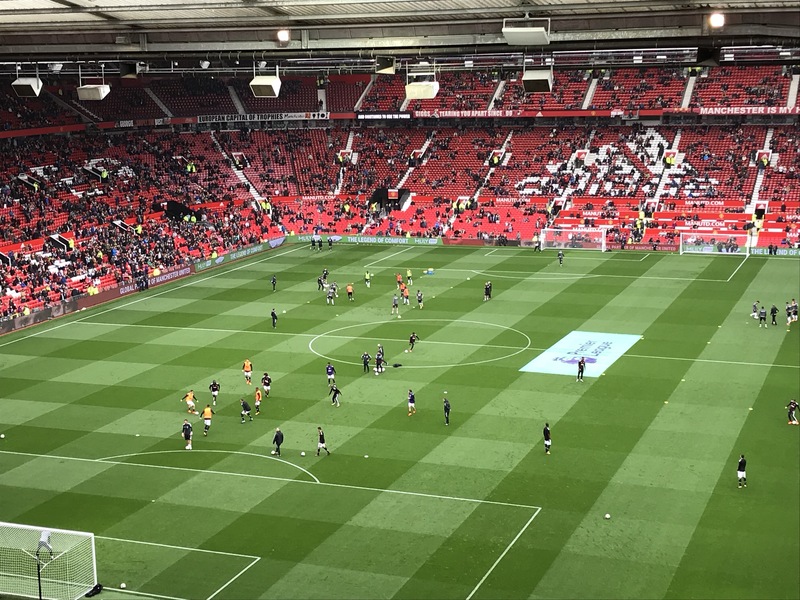 It sent the 3,500 traveling Burton fans home happy to have seen their team score a goal at Old Trafford. 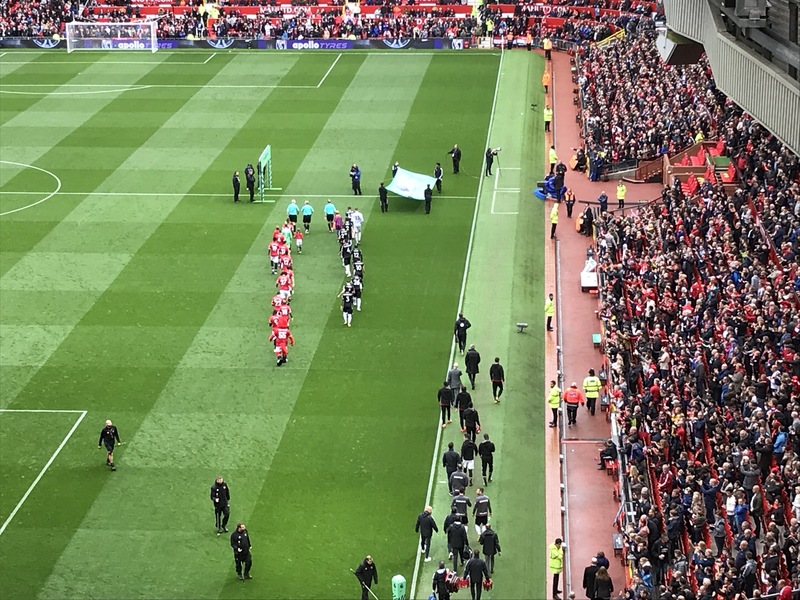 Manchester United now play Swansea City away in the Fourth Round next month at the Liberty Stadium, following Wednesday night’s draw. 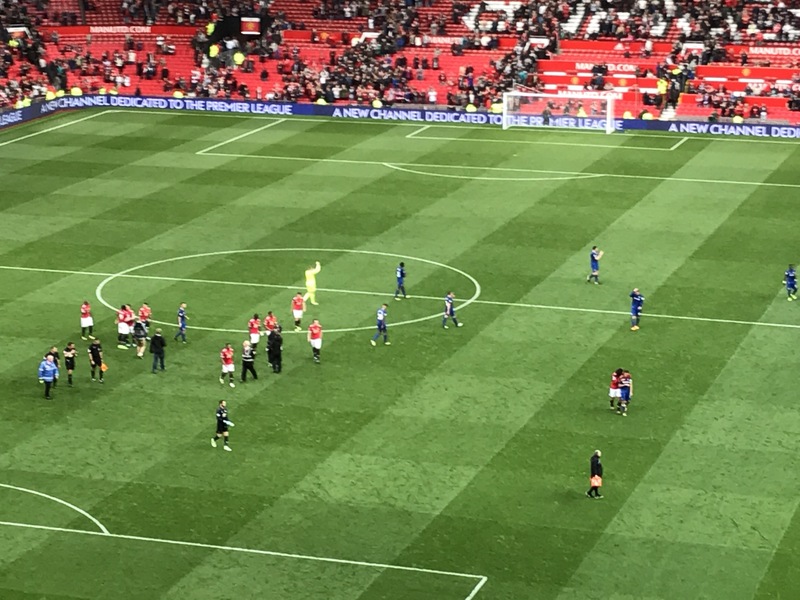 Manchester United beat Everton 4-0 at Old Trafford to join Manchester City at the top of the Premier League. The Reds won 4-0 for a third time in five league games. United and City are totally equal in first, with the same goals scored and goals conceded. Last season, the sides played out two 1-1 draws, with Zlatan Ibrahimovic scoring both of the United goals. Without Ibrahimovic today, the Reds looked to former Everton man Romelu Lukaku to continue his goal scoring form. Lukaku scored again late on and set up Henrikh Mkhitaryan’s goal. Antonio Valencia scored a goal of the season contender to give the Reds the lead after just four minutes. The United captain, volleyed in from the edge of the box past Jordan Pickford. David de Gea made some good saves in the second half, including one close range stop from the returning Wayne Rooney. Then finally, with under ten minutes left, Henrikh Mkhitaryan latched onto Romelu Lukaku’s through ball to score as Pickford ran out to close the Armenian down. Lukaku himself kept up his goal scoring form late on. The Belgian striker scored against his old club when he volleyed in Jesse Lingard’s flick on. The goals continued for United. In a similar last ten minutes to those enjoyed against West Ham and Swansea City, the Reds scored three late goals. 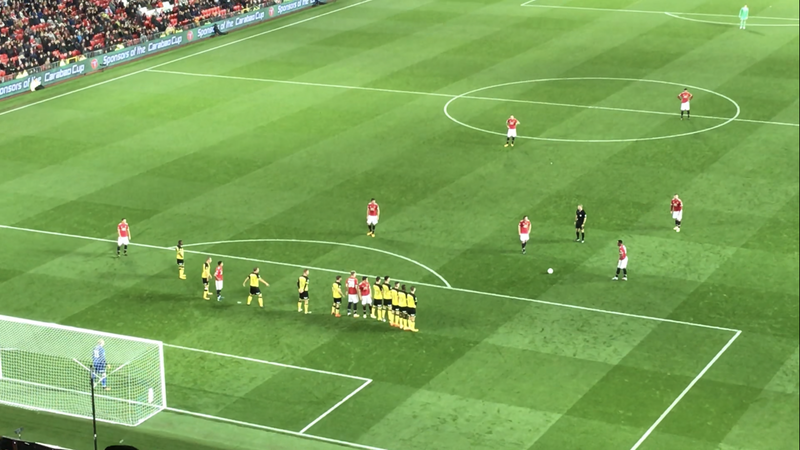 Anthony Martial won a penalty after a great run and added the fourth from the spot. 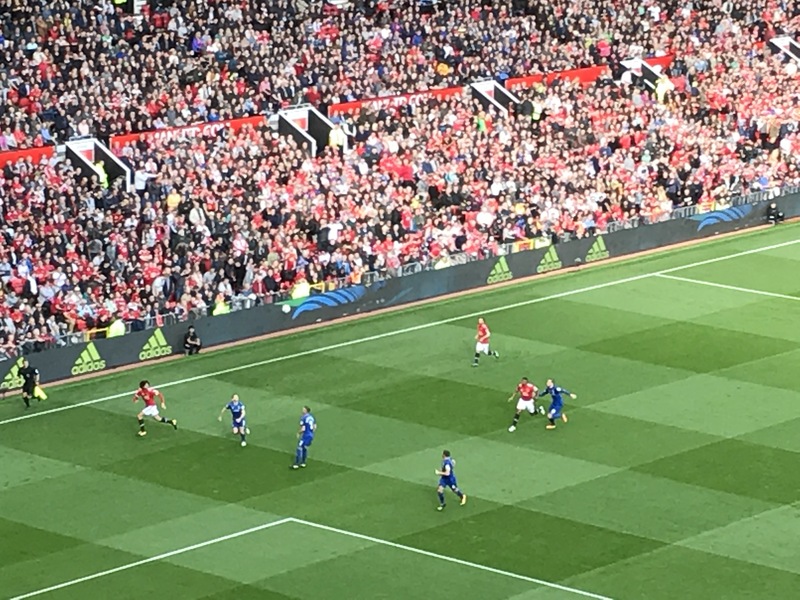 Martial ran through on the break, went past several Everton players before ex-red Schneiderlin handled. Manchester United now face Burton Albion in the Carabao Cup before travelling to Southampton next weekend. 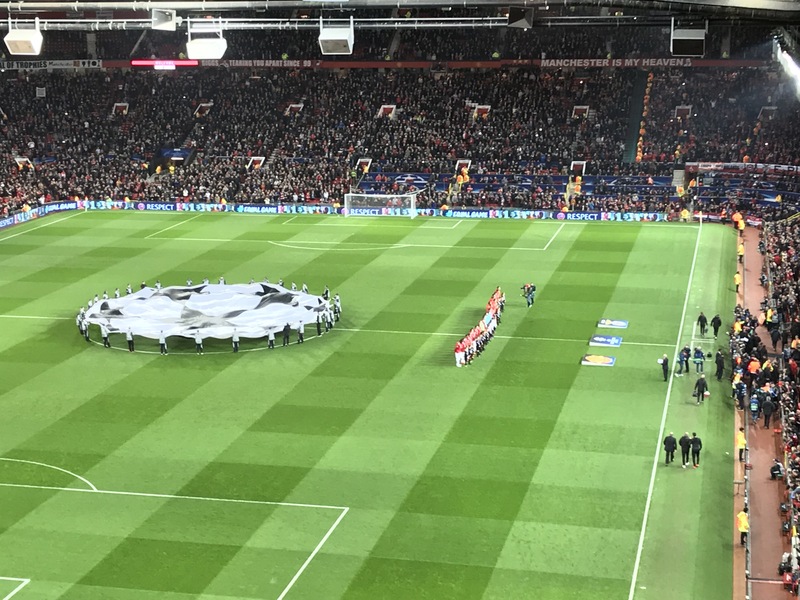 Manchester United played their first Champions League match in almost two years on Tuesday night, when Swiss champions Basel visited Old Trafford. The Reds were without the suspended Eric Bailly and Phil Jones for their first Group A match. 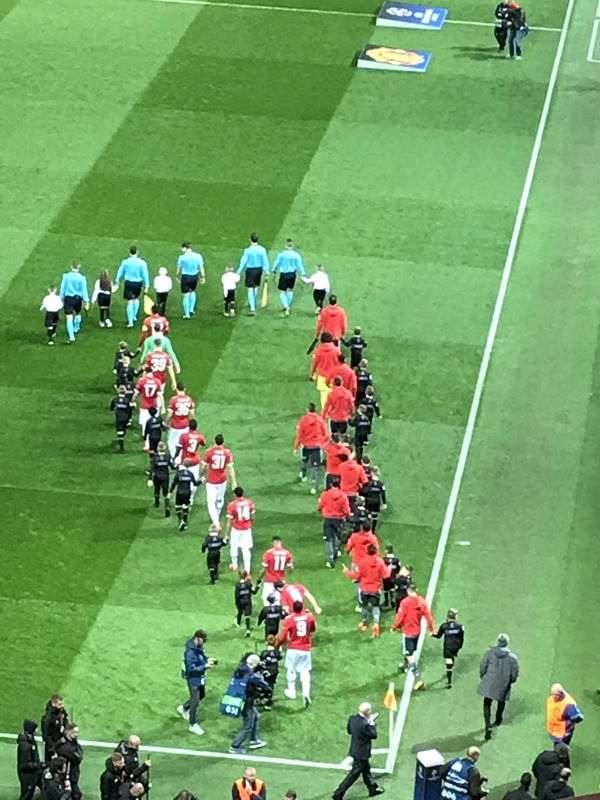 Chris Smalling and new signing Victor Lindelof came into replace them. 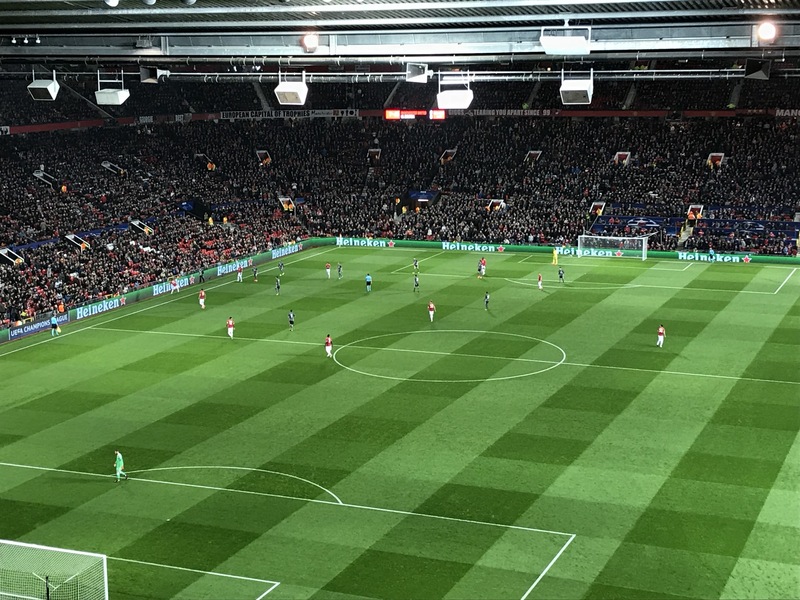 Basel travelled to Old Trafford off the back of a disappointing Swiss Super League loss to bottom club Lausanne. 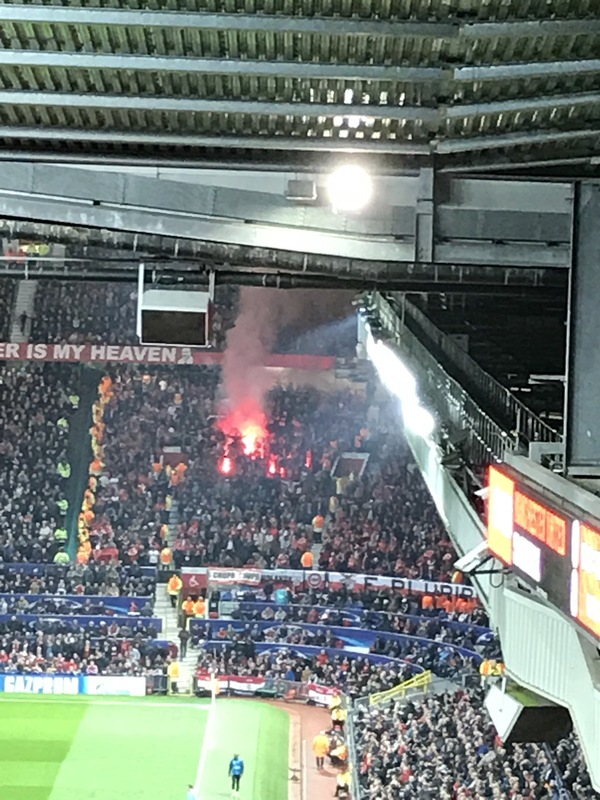 Despite top scorer Ricky van Wolswinkel, formerly of Norwich City, scoring a penalty, the Dutchman could not prevent Basel’s second league defeat of the season. Mararoune Fellaini, Romelu Lukaku and Marcus Rashford all scored as Manchester United beat Basel 3-0 at Old Trafford. In their first Champions League game in Group A, the Reds comfortably beat the Swiss champions, despite the injury to captain Paul Pogba. Substitute Fellaini opened the scoring after 35 minutes. The Belgian headed in Ashley Young’s cross to give United the lead. Romelu Lukaku added a second early in the second half, after good work from Juan Mata and Daley Blind. 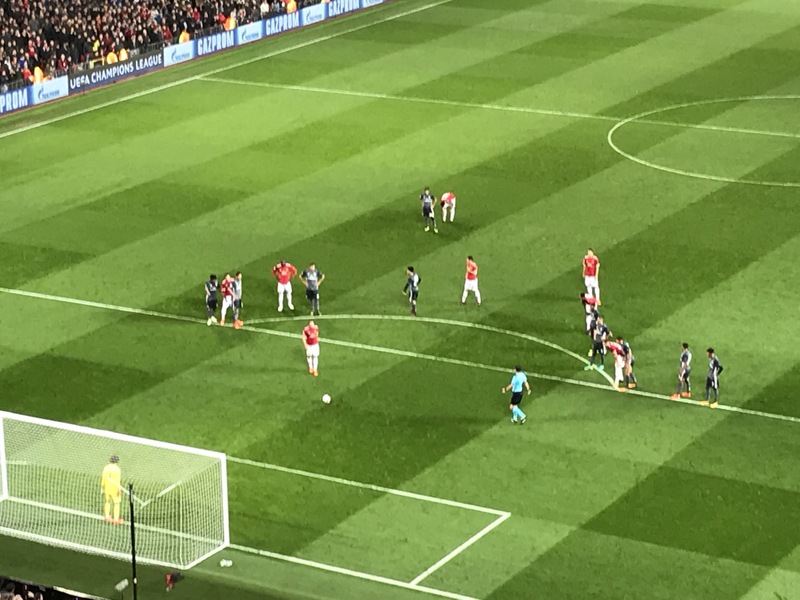 Blind took a short corner, which Mata laid off for the Dutchman to cross into the box. Lukaku headed in to give the Reds a comfortable lead. Marcus Rashford then replaced Mata and added a third. On his Champions League debut, Rashford scuffed in Fellaini’s pull back to seal the win. The Reds now face Everton at Old Trafford on Sunday in the Premier League. The next Champions League group game will see United travel to Russia to face CSKA Moscow.